The US market is back after the long weekends, just like Japan. On Friday, we saw price decline in the EURUSD quotes due to the bad statistics in Eurozone. Moreover, the pair broke through the support that we noted in the last review. Well, time to consider the downward movement as the main one. 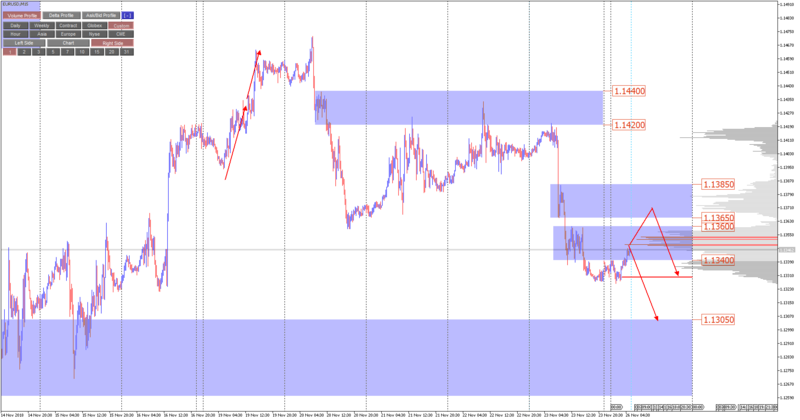 On Friday's session, the price has triggered two interesting ranges. The first one in the price range of 1.1385-1.1365, the second 1.1340-1.1360. Both of these ranges can act as resistances. If we can profitably enter in the area of strong balance at 1.1340-1.1360, then the target for the market decline can be considered at 1.1305, and could count on the further decline. If the price retest the balance of 1.1385-1.1365, then it must be understood that the strength of the sellers is not so great, and the goal for the decline is the Friday minimum. The appearance of prices above the 1.1385 completely change our ideas and we might return to the scenario with a side formation and the possible development of an upward formation, but these are not our main ideas. The situation on this pair is similar to the main currency pair. On Friday, we saw a manifestation of customer initiative and a breakdown of resistance. Today, we pay our attention to the price range of 0.9965-0.9950 as support and wait for a corrective price reduction. In this area, we are looking for entry points to the purchase and look forward to rising up towards to 0.9995. But the emergence of prices below 0.9950 will return us to the side of the stage. 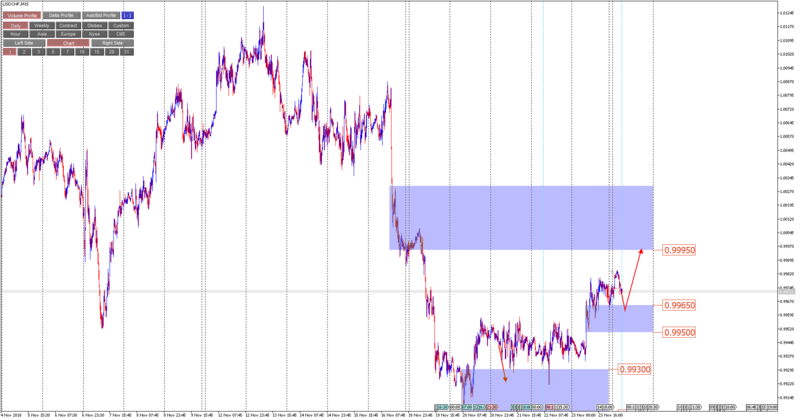 It is noteworthy that both EURUSD and USDCHF in this case are likely to work simultaneously. In any case, it is worth paying attention to.